Stainless steel, also known as corrosion resistant steel, Inox steel or Inox (from French word “inoxydable”), is defined as a steel alloy with a minimum of 11% chromium content. Stainless steel does not corrode, or rust as easily as ordinary steel. Stainless Steel performs better than ordinary steel in high temperature and cryogenic applications. Stainless steel is used where both the properties of steel and resistance to corrosion are required. Stainless steel differs from carbon steel by the amount of chromium present. Stainless steel contain sufficient chromium to form a passive film of chromium oxide, which prevents surface corrosion and blocks corrosion from spreading into the metal’s internal structure. The sizes of chromium atoms and their oxides are similar, they pack neatly together on the surface of the metal, forming a stable layer only a few atoms thick. If the metal is cut or scratched and the passive film is disrupted, more oxide will quickly form and recover the exposed surface, protecting it from oxidative corrosion. The passive film requires oxygen to self-repair, so stainless steel has poor corrosion resistance in low-oxygen and poor circulation environments. Stainless steel comes in a variety of types as well as many grades within those types of Stainless steel. The four main types of stainless steel are Austenitic, Ferritic, Martensitic and Duplex. These four types of steels are identified by their microstructure or predominant crystal phase. Austenitic steels have austenite as their primary phase, face centred cubic crystal. These are alloys containing chromium and nickel (sometimes manganese and nitrogen). Austenitic steels are not hardenable by heat treatment. The most familiar stainless steel is probably Type 304 and 316. These grades are non magnetic. Ferritic steels have ferrite (body cantered cubic crystal) as their main phase. These steels contain iron and chromium, Ferritic steel is less ductile than austenitic steel and is not hardenable by heat treatment. They are magnetic. The characteristic orthorhombic martensite microstructure. Martensitic steels are low carbon steels. They may be tempered and hardened. Martensite gives steel great hardness, but it also reduces its toughness and makes it brittle, so few steels are fully hardened. Halfway between the ferritic and austenitic stainless steel is a family called the duplex stainless steels, which are about 50% ferrite and 50% austenite. Because of this duplex structure, they are resistant to stress corrosion cracking, which can affect the austenitic stainless steel in hot waters containing chlorides. The most common duplex stainless steel is 2205 (including both S31803 and S32205) and it is used in many applications. Duplex stainless steels are inherently stronger, for example, a grade such as 2205, which contains about 0.15% nitrogen, has over twice the yield strength of Type 316L. As a result, 2205 is commonly used in tanks for tankers where both strength and corrosion resistance are required. 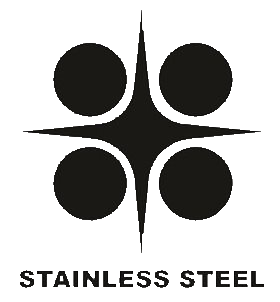 Euro Steel are proud members of SASSDA South African Stainless Steel Development Association.